Laser Hair Removal Soprano ICE - If you're looking for a really effective method to get rid of unwanted hair once and for all, this laser hair removal treatment is just for you. Laser hair removal is a permanent hair reduction with laser light. The beam of light burns the hair along with the onion, thanks to which it does not undergo reconstruction, i.e. it will never grow again. For this reason, laser hair removal is the only permanent and effective method of depilation. It's good to know that the laser burns out the hair itself, not heating the neighboring tissues, so removing the hair in this way is a safe procedure. Removing excessive hair with the laser is almost painless, and most importantly, the procedure can be performed on every part of the body, both depilating the legs, forearms, bikini zone, as well as the mustache, beard or buttocks. Several sessions will allow you to get a perfectly smooth skin without unwanted hairs. The first effects after laser hair removal are visible immediately, and the effect lasts until the end of life. In most cases, it is necessary to perform several treatments for a given body part, which guarantees removal of all hairs from a specific area. The treatment is an ideal alternative for people who have been using methods such as waxing or machine, dreaming about smooth skin without struggling with problems such as ingrown hair. Hair laser hair removal is a method used in the world for many years, which is why you can confirm its durability and effectiveness. Soprano ICE gives you the opportunity to have three different lasers in one device. Alex head with a wavelength of 755 nm, diode laser 810 nm and Nd YAG 1064 nm. The device can also be extended with a NIR head for thermal skin lifting. This versatile solution allows for effective treatments on different types and colors of hair and with different phototypes. Do you want to remove unnecessary hair once and for all? Do you have hair on your thighs, face or bikini area? The best solution in your case will be permanent laser hair removal. HOW OFTEN SHOULD YOU REPEAT LASER HAIR REMOVAL? Laser Hair Removal Soprano ICE – If you are looking for a really effective method to get rid of unwanted hair once and for good, laser hair removal procedure is designed just for you. Laser hair removal is the only effective method of permanent hair liquidation. Hair removal by laser is almost painless, and most importantly, treatment can be done on any part of the body, both during epilation of legs, arms, bikini area and moustache, chin and buttocks. Laser hair removal is at the moment the most effective method of permanent hair removal. Several sessions will allow you to get perfectly smooth skin without unwanted hairs. First results after laser hair removal are visible at once, and the effect lasts for life. In most cases, it is necessary to perform several operations on a given batch of the body, which guarantees the removal of all hair in a particular area. The treatment of laser hair removal is a permanent hair reduction treatment using laser light. A beam of light will burn the hair along with the follicle so it does not undergo reconstruction and will never grow back. Precisely for this reason, laser hair removal is the only lasting and effective method of hair removal. You should know that the laser burns only the hair, without heating adjacent tissues, so hair removal in this way is a safe procedure. Laser Hair Removal is a method used worldwide for many years, so its durability and effectiveness may be confirmed. 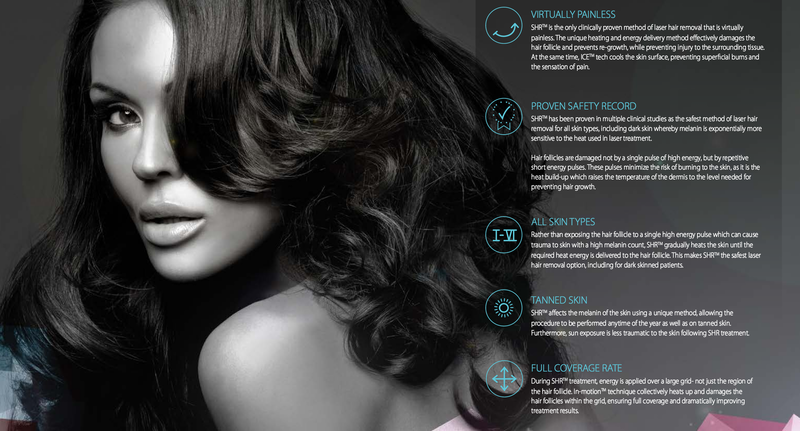 Soprano ICE is the most complete and effective laser hair removal solution available today. 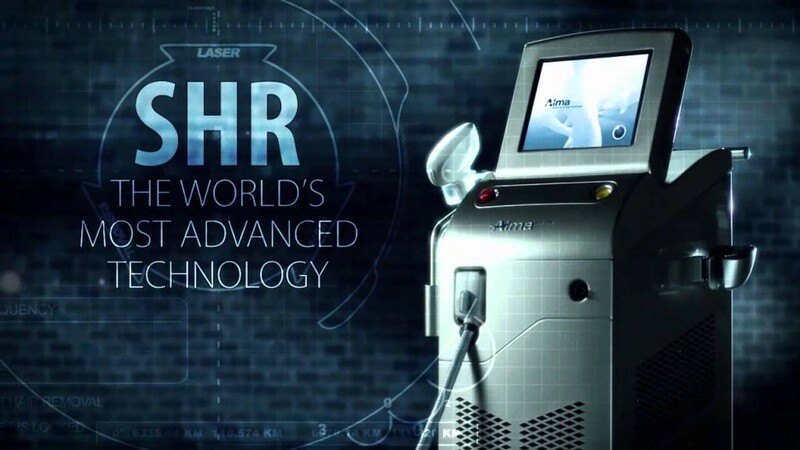 This modern platform is one of the most advanced hair removal solutions available in the industry all over the world. Its high safety and efficacy are testified by certificates, among others, FDA and CE. 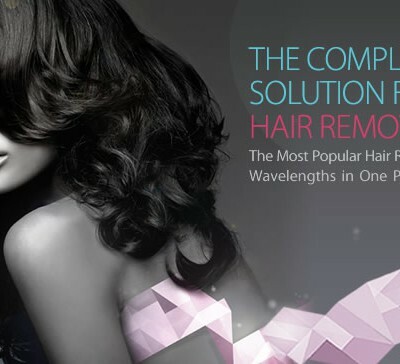 The emitted laser beam penetrates to a depth of 2 mm, so that the laser light is focused only on the surface of the hair – destroying it, but not adversely affecting the surrounding skin. Additional cooling system and ground-breaking in-motion mode make the treatment comfortable and faster than before. Combination of multiple laser wavelengths and technologies allows practitioners to treat the widest range of patients and hair types all year round. Treatments are comfortable and quick – with very best possible clinical results. If you are looking for the most effective laser treatment, you really should consider Soprano ICE hair removal. We are proud to offer you this treatment, because we know Soprano ICE is a gold standard in a hair removal systems. – Treatments are even more effective than before – Soprano ICE gives permanent effect! Your skin will be smoother and hair-free! Remember no-pain, no-gain? It doesn’t have to apply to laser hair removal. Soprano ICE minimizes the chances of negative side effects and maximizes patient comfort. 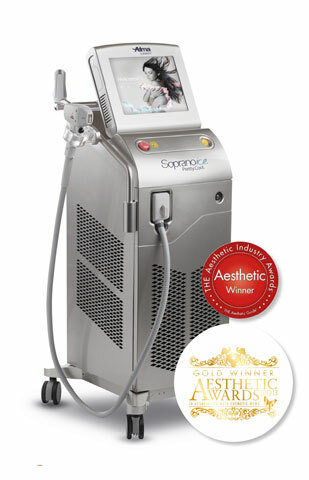 We are absolutely sure that SOPRANO ICE is one the very best diode laser all over the world – so you can be sure – that choosing our salon you choose the highest quality treatment in the competative price. Please feel free to contact us and make the appointment for a free consultation. We are looking forward to see you in our beauty salon. soprano XL – is a diode laser, not IPL – so you can be sure that it is a device designed exclusively to laser hair removal treatments. The laser is particularly effective for people with dark hair and relatively fair skin. Thanks to the patented In-motion mode, treatments with Soprano XL system are also useful for darker photo types and tanned people. Before the first treatment of laser hair removal the consultation takes place during which the photo type is determined and the treatments are scheduled. Hair removal is a safe procedure, but requires some preparation, which guarantees the best results. Above all, two weeks before the treatment, you should avoid exposure to the sun of this part of your body that you want to be treated. This also applies to visits in the solarium. It is important not to pluck hairs with tweezers, wax or use the epilator (the use of these methods should be discontinued min. 3 weeks prior to treatment). On the day of the treatment, avoid using antiperspirants and other chemicals. 14 days before the treatment, you should dispense with the use of cosmetics containing derivatives of retinoids (eg. some ointments for acne) and those containing photosensitizing ingredients. These are mainly extracts of herbs (eg. St. John’s wort, chamomile, arnica, calendula). Herbal teas based on these plants also should be discontinued. On the day of the treatment you should remove hair from skin with a disposable razor or leave it hairy – then a specialist in the study will make the depilation. How to behave after the treatment? For the first two days, do not use moisturizing lotions that contain chemicals that may irritate skin subjected to the treatment. For two weeks after the treatment avoid exposing skin to the sun, since in some cases this could lead to discolouration. Visits to the solarium are also banned for 14 days after depilation. During this period, depilated skin should be protected with clothing, for example, long pants if we depilated calfs or thighs. Beauty Salon Jadore advises adhering to the post-procedures of excessive hair removal! It is understood that the permanent hair reduction takes about six treatments performed at an interval of 4-8 weeks. The effects of treatments depend largely on the type of hair, photo type and genetic conditions. The number of repetitions given above, depends on the fact that the hair grows in the three stages of growth, and the laser beam of light destroys only those which are in one of them. Consequently, during one operation the hairs are removed that are already in the appropriate phase of growth. Until the next treatment the other hair will have a chance to “mature” to be removed. Then another, a third group of bristles, is removed which only reached an optimal growth phase. Other treatments are so called subsidiary shootings, that remove previously omitted bristles or those that were extremely resistant to laser. In the case of other health problems or taking antibiotics, hormonal drugs, please arrange an additional consultation with a specialist.